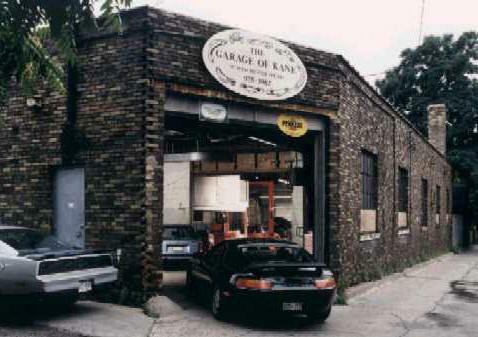 Kane's performance started life as a tiny garage behind a hat store on St. Clair Ave. in Toronto. The tiny shop was way to small so we moved to a really cool building in the middle of Cabbagetown and opened up as The Garage of Kane. Okay not the best name but it fit the location. We spent several good years there but the landlord sold the building to build townhouses so we went looking for a new home. 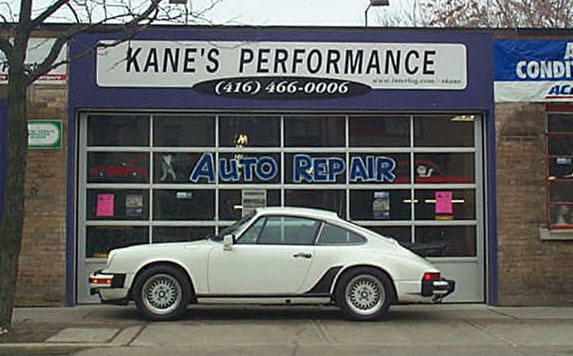 We found it on Queen St. near Coxwell and we changed the name to Kane's Performance to better reflect our automotive outlook. The Queen St. location was pretty good but the parking situation went from bad to worse when the city put in parking meters. We spent a good part of our days jockeying cars around to avoid the Green Hornets. After some thought it occured to us that paying high rent in downtown Toronto on top of a mortgage for our house was just silly. Why not buy one property where we could live and work at the same time? Cut out the rent and the commute in one fell swoop. and now we are in a small place in Bolton for details check out the link below.